Thirty one year old Law student Sofia Koury thought she found a refuge from memories of her mother's suicide and life with her controlling father. But when her mentor Alexander Quintis proposes her for an internship on his colleague's yacht, events move into dangerous waters. At first excited by the prospect of fieldwork, the attacks onboard make Sofia realize that someone she trusts is not as they seem. Caught in the whirlpool of antique cars, surveillance and defense training, Sofia struggles to uncover the deception ahead. She must now rely on intuition and lessons from her painful past to complete her assignment and say alive. 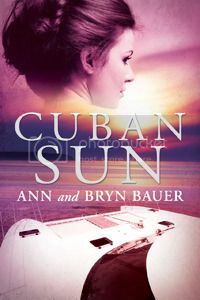 Sofia faces the challenge of her life navigating a budding relationship, self-discovery and uncertain future all under the sultry Cuban Sun. I truly enjoyed this book.This book has mystery and a bit of romance. I just couldn't put it down. This book is very well writen and I can't wait to read the next book in this seires.